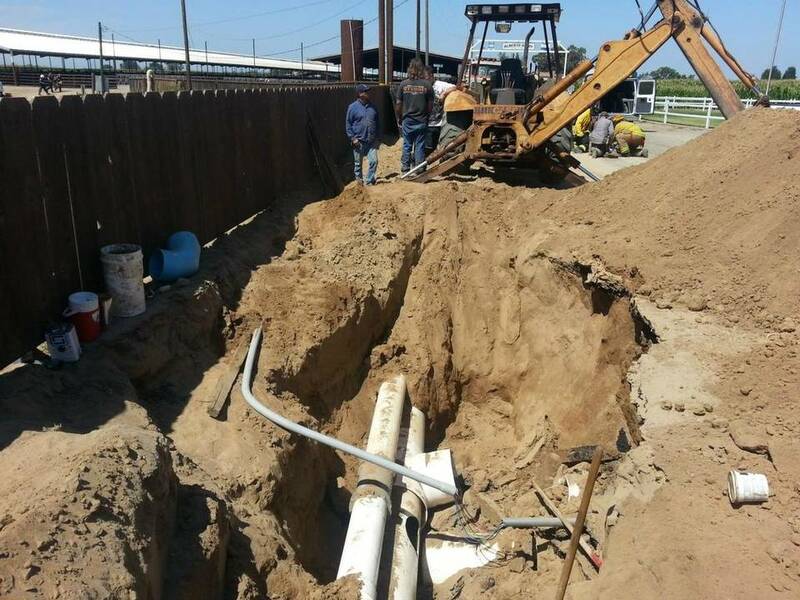 Three men – two of them injured – had to be rescued when an 8-foot-deep trench they were working in collapsed Monday morning, according to the Stanislaus Consolidated Fire Protection District. The incident occurred on the 1000 block of Downie Road in Hickman just after 11 a.m., according to a news release from Stanislaus Consolidated spokeswoman Carissa Higginbotham. A photo from the fire district shows it happened at at the Alberto Dairy. An engine crew arrived to find one man, estimated to be in his mid-30s, who had been “completely buried” in the collapse, had chest pain and appeared to have suffered a back injury, Higginbotham said in the news release. It was not immediately clear Monday afternoon how long he was buried. Rescuers also found a man in his early 50s with a broken leg, she said, and a third, uninjured man. After firefighters put a ladder in the trench, the man with the broken leg was able to climb out, Higginbotham said. The uninjured man then helped raise the other patient up just enough for firefighters to get a harness on him to extricate him. The uninjured man was able to climb out of the hole just as it began collapsing further, Higginbotham said. The man with chest pain and an apparent back injury was airlifted from the scene, she said, and the man with the broken leg was transported by ambulance to a local hospital. Information on their conditions was not available Monday afternoon.